More and more we get asked to sort out a website because it’s not getting sufficient traffic, or the wrong kind. We’re told, “Our customers can’t find us,” or “We’re getting complaints about our website.” Resurrecting a site can be tricky – it’s far easier to start from scratch than to fix something that isn’t working, but we can identify and sort the problem in many cases without having to say “you need a new website”. 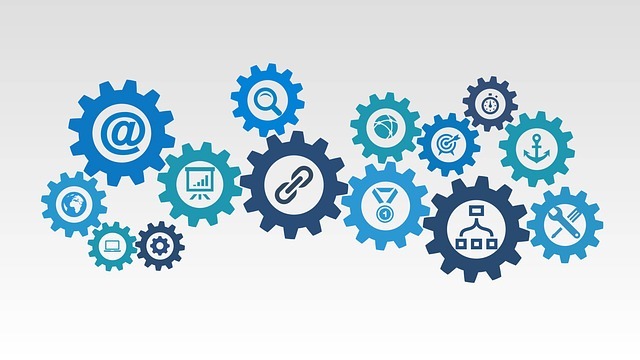 SEO is a big part of any website, and there are technical, on-page, and off-page aspects to SEO that all need to work together to achieve the end goal – usually to attract and retain customers, and sell the products or services on offer. We specialise in the “organic” approach, rather than paid ads to promote websites. This means you don’t pay for your keywords every time someone clicks on them in the search results. Because when your AdWords campaign finishes, what then? A website that is not technically sound, with high-quality, navigable content and optimised pages, is going to become invisible until the next expensive ad campaign is started. This seems like an “addictive” cycle! We’re not “anti” AdWords – paid Google ads can be highly effective under the right circumstances, but advertising is not a substitute for organic SEO. That would be like painting over rotten timbers on a house. We frequently get asked, “Why do I need SEO?”, and “What is the return on investment for SEO?” Or, “I want to be top of page one” (often because some “SEO expert” has promised this). We’ve also encountered “completed” websites where there is virtually no text content, or what there is is duplicated across several pages, and the business is not listed on Google Maps. This is a recipe for ranking disaster. SEO is the practice of optimising a website so it performs well on organic search. Ranking highly in search results for a keyword or query increases the visibility of the web page optimised for that enquiry, and leads to more traffic to the website. SEO allows you to have an on-going conversation with your audience online about what is valuable, mediated by search engines. Or, put another way, it allows you to connect with people searching for your product or service online, and helps turn them into customers. The element on this representation that is of the most interest is the featured snippet. Google is telling me this is currently the number one ranked organic resource out of 30,300,000 results for my search query. As the popularity of voice search continues to grow, the importance of featured snippets will increase too, as Google often sources its voice search results from these. So what’s the big deal about being on page one of Google, and how do I get my website there? Firstly, sites listed on the first Google search results page generate 92 per cent of all traffic from an average search (Chitika), so it is a big deal to be on page one, and even more so if you’re “awarded” a rich snippet. Secondly, getting there requires a long-term “investment” strategy. SEO success is a marathon, not a sprint, and there are numerous factors to consider. This is not least due to the quantity of websites. In 1994, there were around 3000 websites online. In 2014 – a mere 10 years later – this number crossed the 1 billion mark. Yes, that’s right, a billion websites. And the number continues to grow. A well-executed SEO approach will include attention to website architecture, quality and optimisation of pages, user experience, mobile responsiveness, and site trustworthiness. In terms of the technical aspects of optimisation, it’s hard to go past Google’s own advice on the matter. This will be part of an inbound marketing strategy, which uses SEO, content marketing, and social media marketing to draw customers to your products or services. What does all this mean for a small to medium-sized outfit in New Zealand looking to rank well for search queries, and generate traffic to their new website? Confirm what queries your customers use to search for your products or services. Implement keywords into your website by including the primary keyword and related terms to establish a clear page topic. We specialise in WordPress sites, so we use and recommend the Yoast SEO plugin. This add-on makes it easy to set up title tags and meta-descriptions – the results people see when they search. Have a proper structure and clear hierarchy for your site that makes it easy for people to use. Useful, relevant content on your website is vital. If your business relies on local customers, there are SEO tactics you can employ to ensure your visibility online. 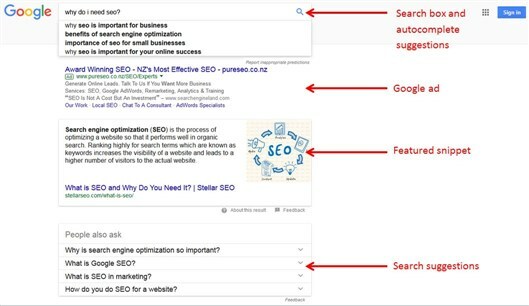 See our article on NZ local search optimisation. Review and improve your SEO strategy using free tools such as Google Analytics and Search Console. Blogging, content marketing and social media marketing increase leads and traffic when the content is properly optimised. 92% of search traffic from page one of Google. 91% of businesses using inbound marketing with SEO see a positive ROI. Drop us a line if you’d like some help with your SEO strategy.